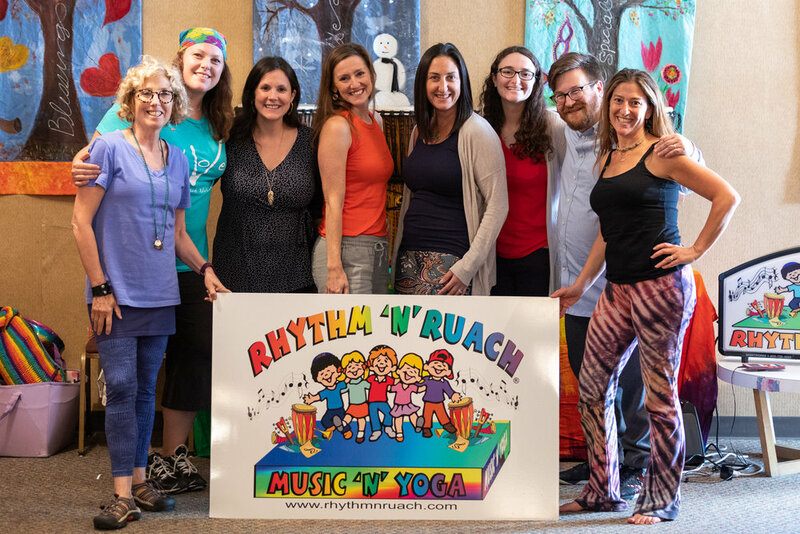 We are thrilled with the growth of Rhythm ‘n’ Ruach! We are so excited to have facilitators from California, Virginia, Maryland, Tennessee, Illinois, Massachusetts, New Jersey, Washington, D.C. and Missouri. We are delighted to announce our upcoming teacher trainings. Join us March 4-6 in San Diego, California or May 13-15 in Dever, Colorado. Participants will learn more than they could even imagine about early childhood Jewish music and movement education! Press Below to learn more. During our live workshop, you will learn everything you need to become a licensed Rhythm ‘N’ Ruach (R) instructor. Discover how you can teach music classes that infuse a love of Judaism into the hearts, minds and souls of the children, parents, grandparents and caregivers who come to sing and play with you. Learn about the variety of business and marketing resources we provide and how to use them to maximize the success of your Rhythm 'n' Ruach business. Space is limited so complete your registration as soon as possible to guarantee your place in the training.